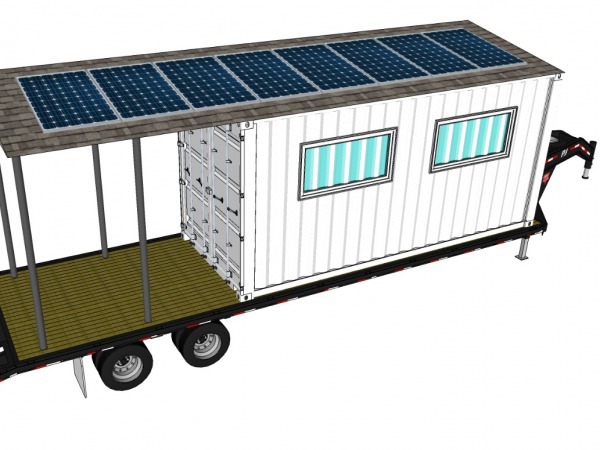 Together with Missoula College, OnSite Energy has sought funding for and completed the design-build of a new Mobile Solar Training Lab that can be used for technical solar trainings at various Montana University System (MUS) locations around the state. 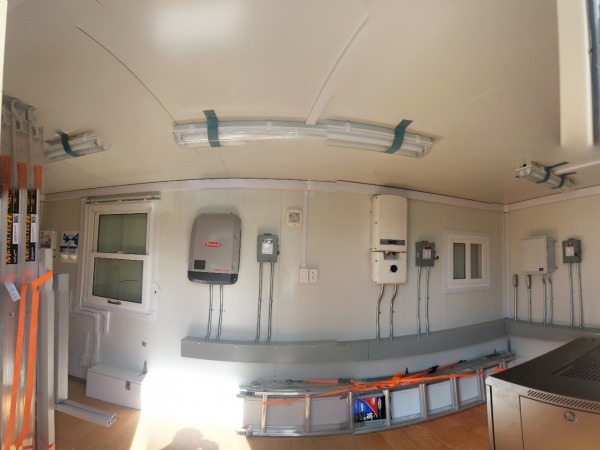 The Training Lab, a mock house with a roof-top solar array, lithium-ion battery bank, and various inverter systems -all riding on a 20’ gooseneck trailer- was ‘rolled out’ for the first time as part of the 2016 Earth Day celebration in Missoula, MT. 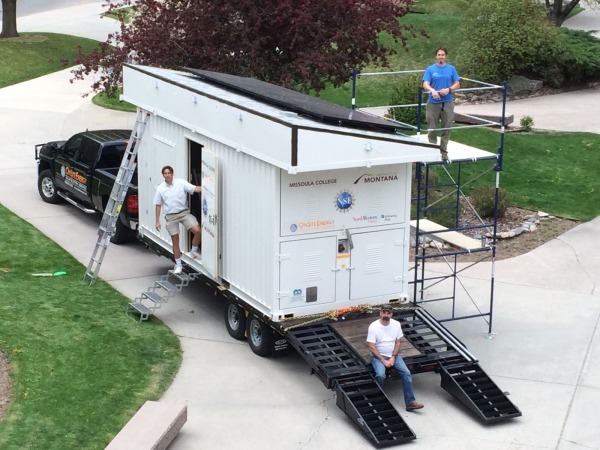 Outside of their Bozeman-based solar installation business, OnSite Energy partner-owners Conor Darby and Orion Thornton have been contract solar instructors; Darby with Missoula College’s Energy Technology Program and Thornton with Colorado’s Solar Energy International. In partnership with Missoula College and other MUS technology programs, they will be working to deepen existing curriculums and to mobilize the training lab for statewide trainings. 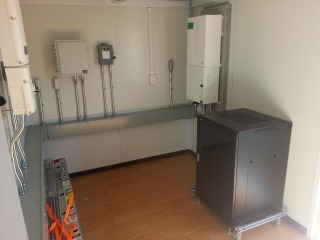 “Solar photovoltaic energy is one of the fastest growing sectors in renewable energy globally. 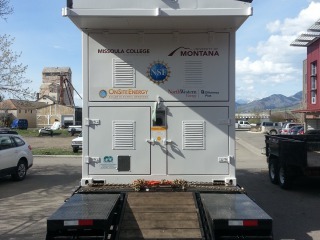 With this new mobile training facility, we will keep hands-on education local, and help move Montana into a leadership position in the renewable energy sector”, Layton added.